Nissan’s latest video on the Nissan Leaf covers what charger installation at home, the speed of charging via various charging station options, fast charging at a CHADEMO DC Fast Charge station, and the optimal charge level. Nissans’ series of educational videos about the Nissan Leaf continues with a discussion of charging considerations. We grew up with cars that are refilled at gasoline stations, making the electrical refilling process “new” and “different” from our gasoline acclimatization. This video on charging the Nissan Leaf is the second in a series. In the first video Mark Perry, Nissan North America’s Director of Product Planning, went over some basic concepts about the Leaf, and opened the floor to further questions. This video is a high level overview of the charging process, the best practices for charging a Nissan Leaf, and even touches on some of the controversy over fast charging on electric cars. 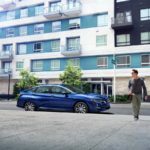 Why does Nissan recommend installing a charger at home: This may seem like an odd question, because automakers position electric car charging stations (a.k.a. 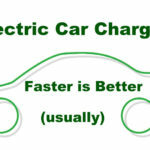 EVSE) as the primary means of electric car charging. Even though electricity is electricity, we’re supposed to think of electric cars only plugging in to charging stations, and not into regular power outlets. Nissan, and the other automakers, does provide a 120 volt charging cord with the Nissan Leaf, and some customers skip buying a full charging station for a variety of reasons. Mark Perry’s answer first talks about how, in the U.S., the typical source of a 240 volt circuit is the outlet for a dryer or deep freezer unit. He then goes on with the “cost benefit ratio between speed, affordability for charging itself, and simplicity” and he asks us to think of charging a Leaf just as you do a cell phone. You come home, plug the car in, walk away, then the next morning it’s all charged up and ready to go. 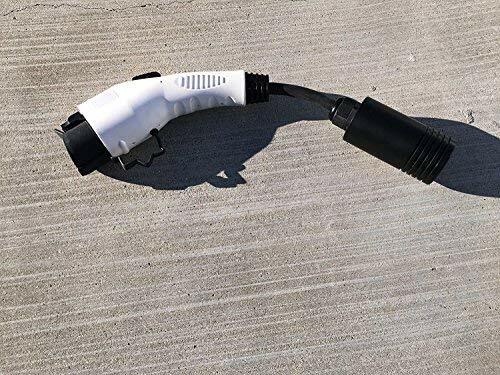 The speed aspect is because of the higher charging rate using a level 2 charging station, the EVSE units with the J1772 cord that looks vaguely like a gasoline fuel hose. On the Nissan Leaf that rate is 3.3 kilowatts, while via the 120 volt charging cord the rate is about 1.2 kilowatts. Hence, charging through an EVSE is three times faster. 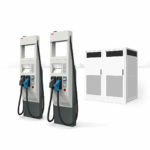 The cost is no different between charging using an EVSE or the 120 volt charging cord, in both cases your electric car absorbs kilowatt-hours of electricity, and the cost is simply the kilowatt-hours consumed times your local electricity rates. What’s different between using the 120 volt charging cord and an EVSE, is how quickly it does so. 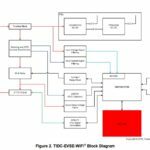 How long does it take to charge on a 240 volt circuit, and what are the other options: Perry explains that a Nissan Leaf whose battery is depleted all the way down to “zero” requires about 7 hours to recharge using an EVSE (240 volt circuit). Data Nissan has collected from the Leaf owner base shows the typical recharge cycle requires only 2-3 hours, because typically the battery is not depleted down to zero. The 120 volt charging cord, as just discussed, is a lot slower and Mark Perry suggests to call it a “trickle charge”. What Nissan will not suggest is to send your the 120 volt charging cord to EVSEUpgrade.com to have them work some magic to increase the charging rate through that charging cord. What about Fast Charging options: The Nissan Leaf comes, optionally, with a socket conforming to the CHADEMO standard, to support what’s called “DC Fast Charge”. CHADEMO was developed in Japan, where Mitsubishi has sold the i-Miev for several years, a car that also uses the CHADEMO standard. Unfortunately the other automakers have refused to adopt CHADEMO, and instead the SAE is developing a different fast charging standard. 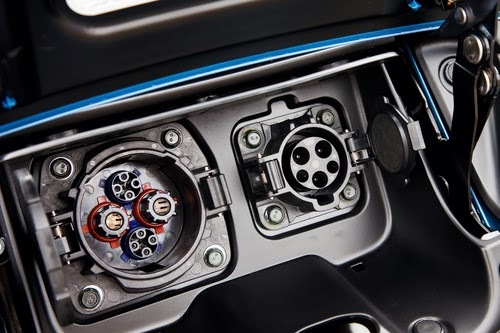 The LEAF fast charging capability can take the car from zero charge to 80% in under 30 minutes, and to top the battery pack off requires the remaining 20% to be performed with a regular EVSE. This 80% charge in under 30 minutes can only occur with a CHADEMO fast charge station, not with a regular EVSE. 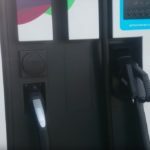 There is a mere handful of CHADEMO fast charge stations in the U.S. at this time, with more planned for installation in the coming months. At the Plug-in 2010 conference a Mitsubishi engineer explained that potential battery pack damaging with fast charge arises from technical details involved with charging to 100% capacity. Cutting the fast charge at 80% prevents damage from occurring, but also means the car isn’t fully charged. What is the optimal way to charge the battery pack: For optimal lifetime capacity of the battery pack over a 10 year time-span, it is recommended to charge only to 80%. Charging to 80% does mean, of course, the car has less range, or approximately 80%. Mark Perry describes the distance as “tiny” and “a few percent” suggesting that if your driving needs demand the few extra miles you get from charging to 100%, then do so. We can note in passing that the Chevy Volt does not use the full capacity of its battery pack for the very reason to lengthen battery pack lifetime by not charging it fully.